Girls just want to have beer! Look out Cincinnati! Lock up your husbands’ and sons’ beer taps because Ohio women have a new drinking club and we are officially open for business. Girls Pint Out is a loosely organized national group with many local chapters but they are all dedicated to bringing together women who love craft beer. Girls Pint Out originated in Indianapolis, Indiana in early 2010. The Girls Pint Out movement quickly spread to Arizona and Texas with charter chapters. Today, Girls Pint Out has more than 15 chapters nationwide giving women the opportunity to socialize and learn more about craft beer. While educational events are planned with women in mind, our social events are co-ed to encourage craft beer drinkers both male and female to further their journey into the craft beer community. 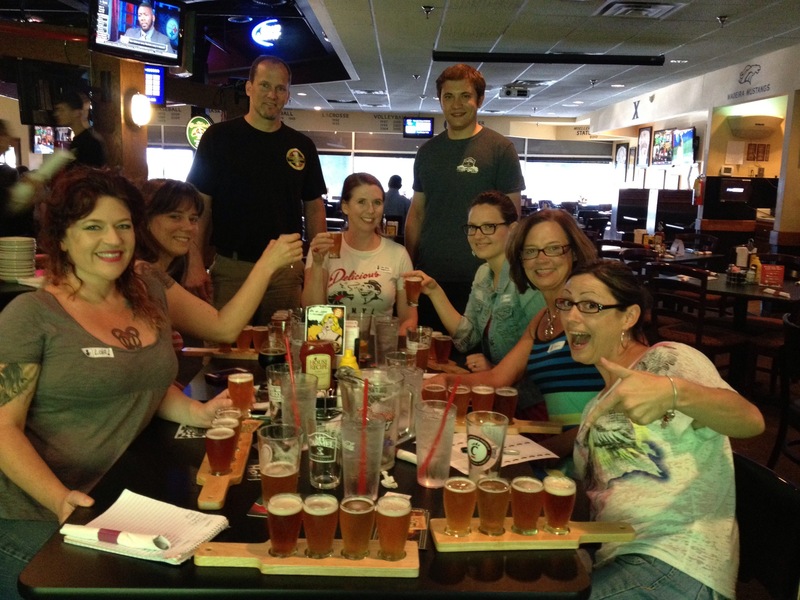 I was so happy to be able to attend the first meeting of the newly formed Ohio chapter of Girls Pint Out. Terri Houston, the Ohio coordinator of the group, did a fabulous job setting up the event held at Tap House Grill. We had one of the distributors from Mt. Carmel Brewing company there to talk us through a flight of their beer and to answer our questions. We started with a pitcher of the Blonde Ale and I have to say I was very impressed by that one. It was a perfect summer ale; light, refreshing, mildly sweet with a hint of citrus and easy on the hops. I could have drank that all day. We had a nice selection of appetizers to share and of course we also had to have at least one other pint as well. The Tap House does have a pretty decent selection of beers on tap as you might expect from the name. The conversation was great. I got to finally meet Lindsey from Love Beer Love Food as well as hang out with several other good friends. We discussed our favorite types of beer and breweries, and shared the story of how we got into craft beer. A common comment I heard was basically, “I tried beer in college and it was gross so I never really bothered with it. Then one day I tried good beer and a whole new world opened up.” This experience fits nicely into my own theory of why it is that fewer women drink beer. I believe that a great many women and men try the gross stuff when they are new drinkers and think it is disgusting. But since women aren’t expected to like beer anyway and there are alternatives, they head over to Arbor Mist or Mike’s Hard Lemonade and never give beer another thought. Men, on the other hand, probably grew up seeing their dads and other men drinking beer and their friends give them a hard time if they drink something ‘girly’ so they keep chugging the gross beer until they develop a taste for it. But I digress. The point is that this was a super fun event and I hope to see more women at the next Girls Pint Out. The next meet up is July 15th at the Moerlein Lager House. 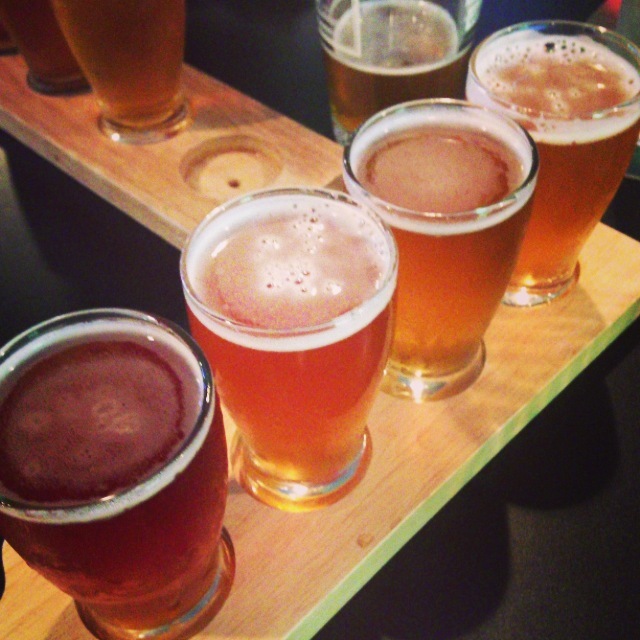 It will include a beer tasting and talk by Brewmaster Richard Dube. The cost is $15 and includes taster samples and some light appetizers. Space is limited for this event, so please reserve your spot today by emailing terri@girlspintout.com or RSVP on the facebook event page. I plan on being there and I hope to see you there too. Fab ladies and fab beer? I think I need to get in on this! Thanks for the write up Ginny!